We need as many helpers as possible to blitz the weeds on our Bushcare/Community Garden site along the banks of Hewitts Creek next Sunday. An early start is planned to beat the heat, so please come along anytime from 8.30am onwards. A delicious morning tea will be provided at 11.00am while we sit back and admire our handiwork. Let’s make sure all the hard work we’ve put in so far isn’t undone by wildly rampant morning glory, terrible turkey rhubarb or leaping lantana!! We already have a beautiful patch of native bushes and grasses with sightings of water dragons, herons and fairy wrens – it’s amazing!! 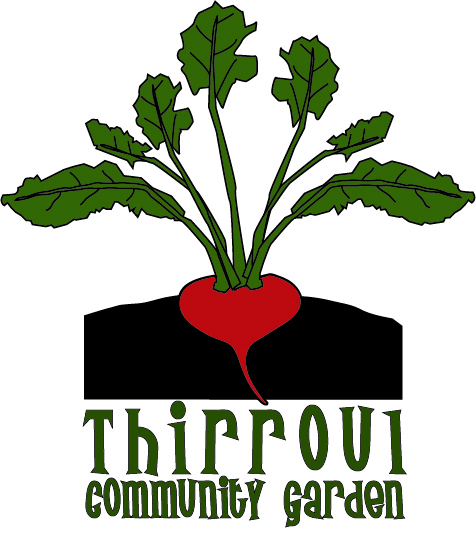 And we want to keep the weeds clear of our fantastic Community Garden that is already producing beautiful zucchinis, tomatoes, herbs, etc. See you next Sunday – remember long pants, hat and water! Sunscreen and tools provided. 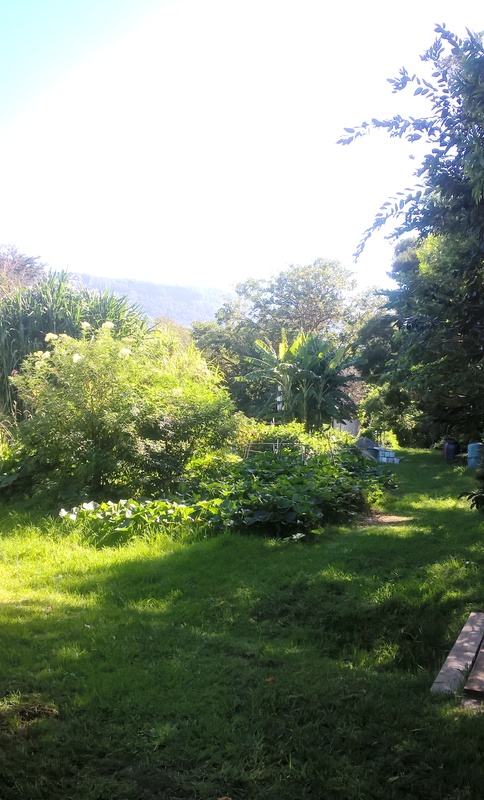 The Thirroul Gardeners Bushcare working bees have started up again for 2012. Our first efforts on 4 March saw the group clearing weeds that were threatening to overwhelm our planting. The natives planted last year are doing well though and we also discovered a tiny native orchid-like plant growing amongst the Kikuyu. We will continue to meet on the first Sunday of each month between 10am and 12pm – so our next working bee will be on 1 April (the weekend before Easter). 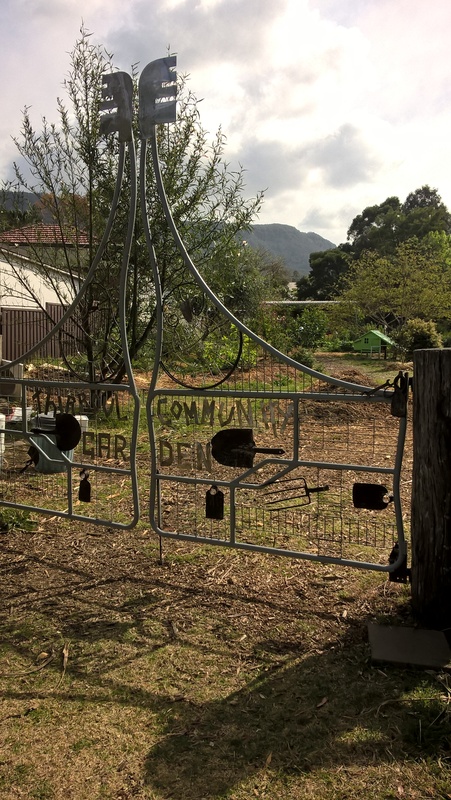 The Thirroul Community Gardeners have also recently submitted the Development Application for the vegie garden and are awaiting feedback from independent engineers. 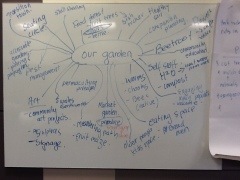 In the meantime, we are meeting with a group from Otford interested in starting up a Community Garden. 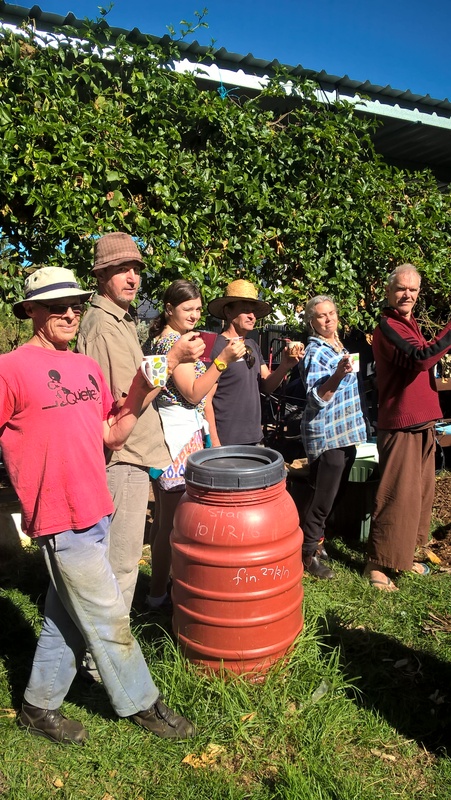 … come to the next working bee. Any interest in doing some bushcare tomorrow if the weather stays fine? Say, 10-12 High Street along the Creek.